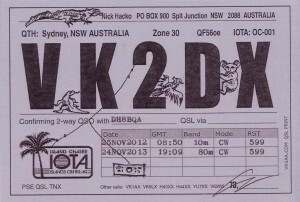 Finally received my first VK QSL on 80m. Usually I would not send any card direct to countries that have a working QSL bureau. 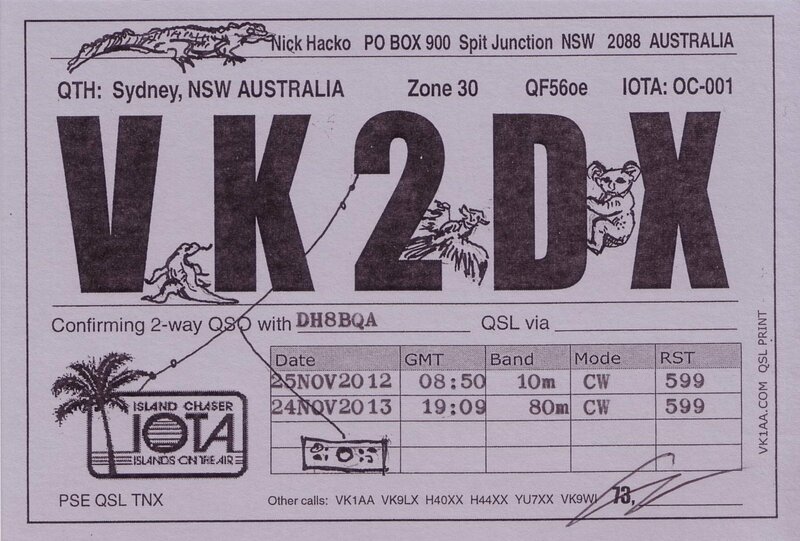 But had to make an exception for VK2DX as he’s my only Oceania station on 80 m so far and I was really keen to finally apply for 5 band WAC. So I bit the bullet and sent a card with $3 for return postage to Nick. Just scanned the card and sent it to the German WAC award manager DL1DUO. All other confirmations are there electronically in DARC’s DCL so to apply for the award was just an “a few clicks” action. Can really recommend DCL for such stuff! This entry was posted in Awards, DX, QSLs. Bookmark the permalink.